You’re looking to buy a house–how exciting! It can be easy to get overwhelmed looking at house after house. You may really like one or two homes, but how do you know which one is the home for you? 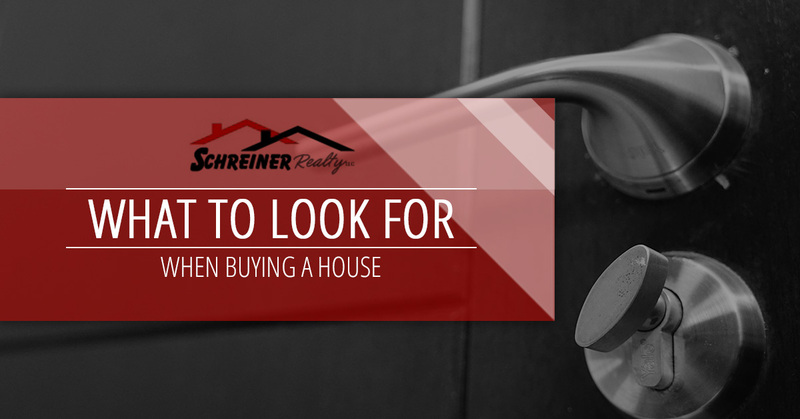 When looking at homes, there are details to pay attention to that can make or break a potential future in that home, and here at Schreiner Realty, we’ve come up with some of the most important things to pay attention to when buying a house. Shreiner Realty is dedicated to making sure the home you end up with is the ideal home for you and your family. Call us today. When walking through the areas of the home that has plumbing such as the bathroom or kitchen, look down by the pipes and in the drains. Check for mold. Even a small amount of black or gray spots could indicate a more serious problem on the horizon. Look for patching on the ceiling and black spots around the caulking. Mold is incredibly dangerous to you, your loved ones, and anyone else who enters your home. It can cause disease, breathing problems, infections in the lungs, skin irritation, and more. When buying a home, it’s more than ok to be picky and not settle for less than the home that suits you. That being said, be sure to know what you’re looking for, specifically. Sit down and think about the true purpose of your home and each room. Are you someone that entertains frequently and needs space for that? Do you have a lot of children and pets in your household and want a big backyard? Do you want a space to barbecue? Do you have a big book or movie collection and need space to accommodate that? Whatever it may be, make sure you keep your deal breakers in mind when you’re looking for a new home. Nobody wants a home with water damage. That’s a given. But, the trick is finding the water damage because water damage is one of those things that can be tricky to spot, and something that homeowners strategically hide. Check for water lines on walls and ceilings. Water damage on walls and ceilings is a likely indicator of more severe internal damage that could cost you later. Make sure to look at exposed piping in the basements or laundry rooms and look for rust, water stains, or leaks. Helpful tip: A coat of fresh paint is a classic sign of covering up water damage stains. Examine the roof/ceilings from the inside. 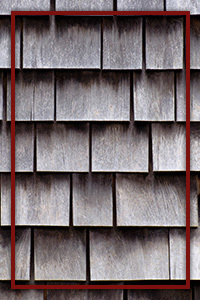 Roof damage is one of the most costly issues to repair in a home. It is a large endeavor to repair a roof, and it’s something to avoid at all costs if possible. Does the roof look new, or is it caving in? Make sure your roof looks strong, sturdy, and relatively new before purchasing the home. Some of the most problematic issues in a home cannot be spotted by the naked eye, or take some work to spot. That being said, hire an inspector to come take a look at your potential home. They’ll make sure the foundation is solid and the wiring is up to code. Home inspectors even look for things like lead paint and termites. They’ll end up saving you a lot of money, stress, and tears in the long-run. With Schreiner Realty, you’re family. Our real estate agency is passionate about finding you the home you’ve always wanted during such an exciting time in your life. Contact us today for more information. We look forward to meeting you.